Rock & Metal 4 You: CD-Review: Giulio Garghentini - "Believe"
Until I got the promo of "Believe" I wasn't familiar with the name Giulio Garghentini, although he works since 20 years in the music business. Beside his activities as a vocal teacher he has been part of bands like Mantara and Darkfire (which I also don't know). He also worked for the musical "Jesus Christ Superstar" and since 2007 he's the front man of Dream Company - a Bon Jovi cover band. 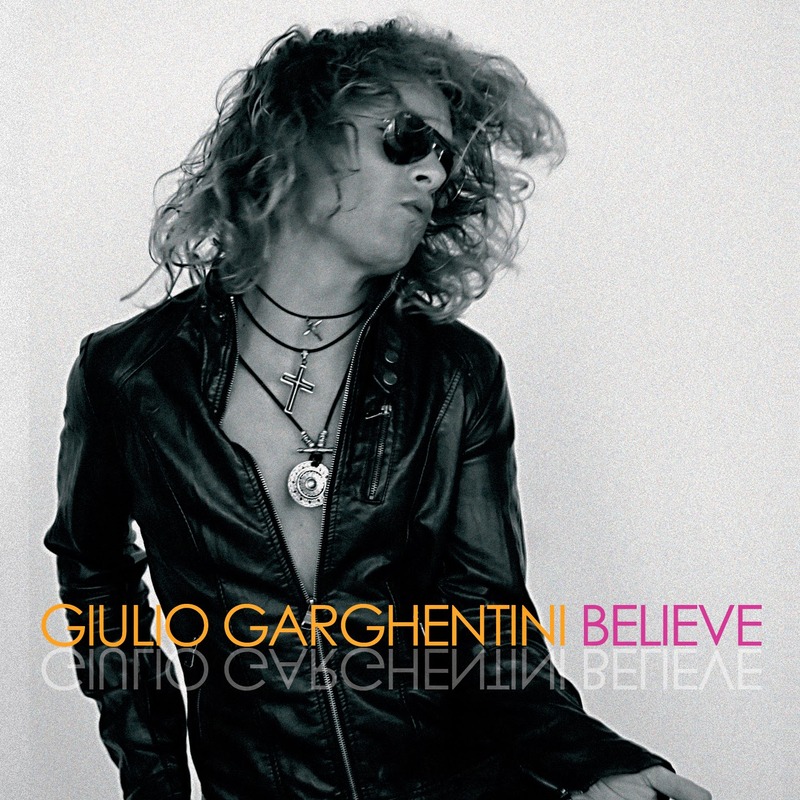 With "Believe" Giulio offers his first solo album and the promotion lines promise a record packed with 10 (Hard) Rock songs, but while listening to the entire album I experienced a lot of surprises. It's hard to put Giulio in a specific genre, because you'll find so many styles on this album. I'd say the basic sound is a mix between the 70's Classic Rock and the 80's Glam Rock. Put Uriah Heep and Poison together, then you can imagine how this sounds. The Hammond organ is omnipresent on most of the tracks, so you get this 70's feeling, while Giulio has lots of attitude in his voice, like it was back in the days where Glam Rock ruled the world. Also some melodies go in this catchy direction. A good example for this mixture is the opener "No Second Chance" and the following song "I Can't Stand The Rain". Those tunes are the best tracks on the record and have lots of hit potential. Like I said: this is just the fundamental sound, because Giulio dares to throw elements from various musical genres into his songs. "My Jesus" comes along with some Gospel choirs, while "Rockstar" is very focused on Blues. "Love is Dead" and "Down The Line" add many funky elements to the overall cocktail and "So Beautiful" sounds in the first half like a boring Pop song. You see, there is very much variety on here. It sounds always fresh and never outdated. Every track is different. Usually this is a good thing, but there are so much influences and elements on "Believe" that I can't see a real red line in it. The whole album doesn't feel like one unit, mainly it consists of various set-pieces. It's obvious that Giulio had lots of ideas in his mind, he wanted to place in this ten tracks, but in my opinion he exaggerates a bit. It feels like he wants to please every music lover out there. The biggest problem is that I can't recommend this album to a special group of people, because there is no real direction of music. This isn't a true (Hard) Rock record. Personally, I didn't like all that Funk or Gospel stuff. To me this has nothing to do with Rock and I don't want to hear it in a real "Rock Song". On the other side, Giulio looks and sounds like a Rock singer. It was very hard for me to listen to some songs as a Rock/Metal fan, because of all the elements I'd never listen to on other records. For sure, I love variety on an album, but it has to be within the genre. I think Giulio doesn't share this opinion and he wants to break the chains, but the result isn't very satisfying for fans of a special genre. So, let's talk about the production: it's clear and polished - here you have the same problem: for a Rock record the whole thing needs more punch and balls. The musicians sound very tight and experienced and Giulio himself is a gifted singer with a clear voice and lots of attitude. 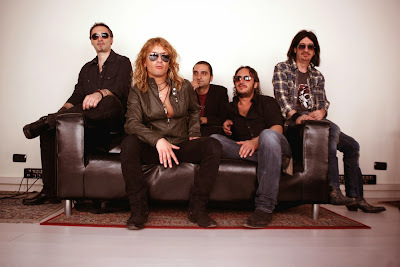 Nevertheless I can't imagine to hear him sing Bon Jovi songs, because his voice is much different from Jon Bon Jovi. Any way, technically everything is fine. Finally I can say Giulio fails on his own approaches. He wants to deliver every kind of musical direction under the guise of a Rock record on his debut, but because of this fact he can't reach a special target group. For the next album he has to find a clear focus on songwriting within one genre. So to me this is a very instructable album, which I just can recommend to very open-minded people, who don't have a problem with various musical influences from different genres, beside Rock music. Check out his homepage - you'll find some sound samples there. Listen first, then decide!